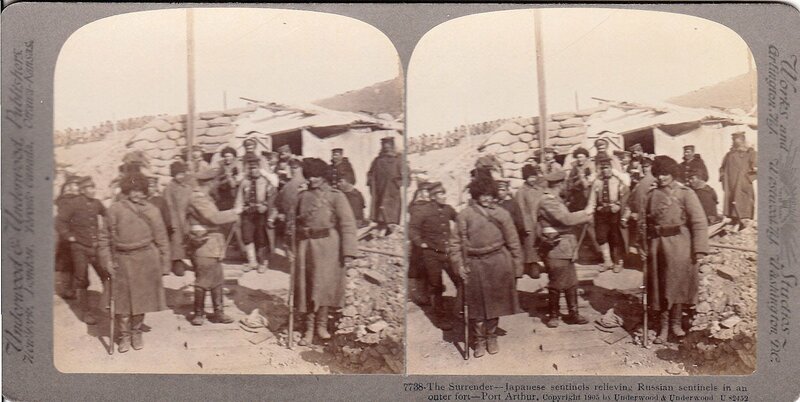 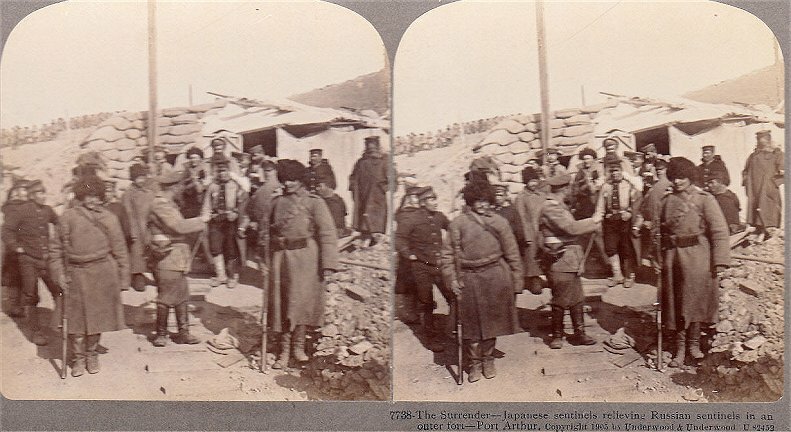 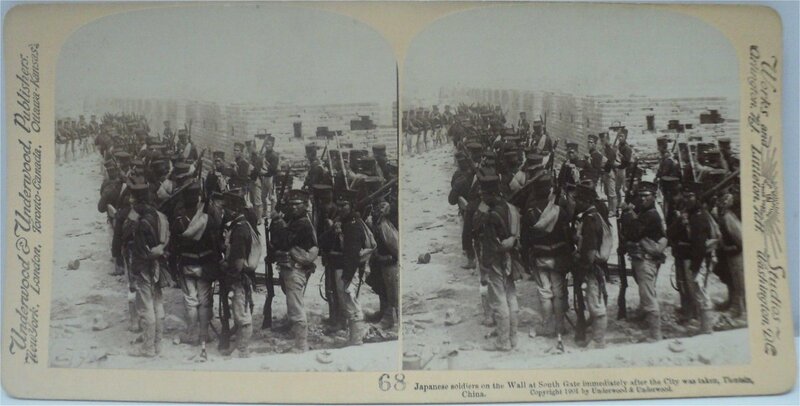 Japanese in a captured Russian fort -- showing a broken Russian gun -- siege of Port Arthur. 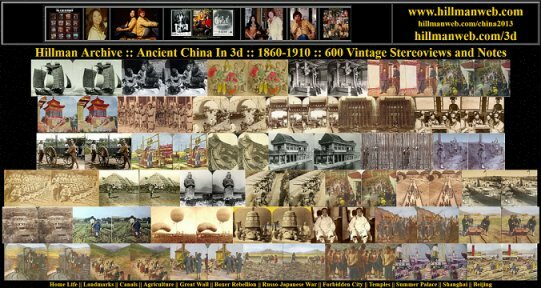 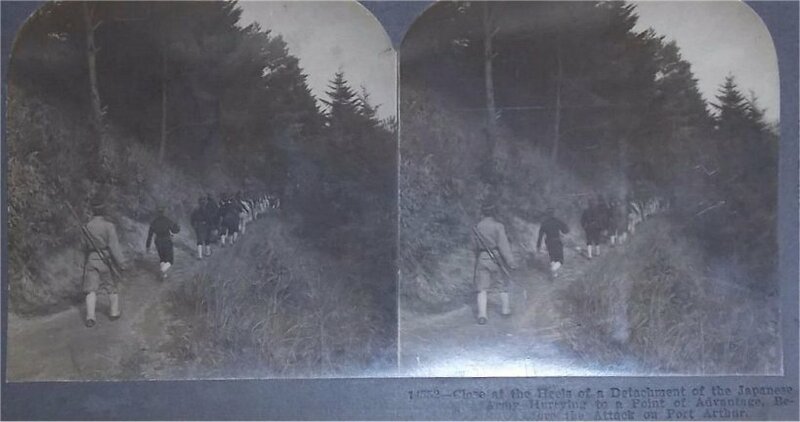 Close at the Heels of a Detachment of the Japanese Army. 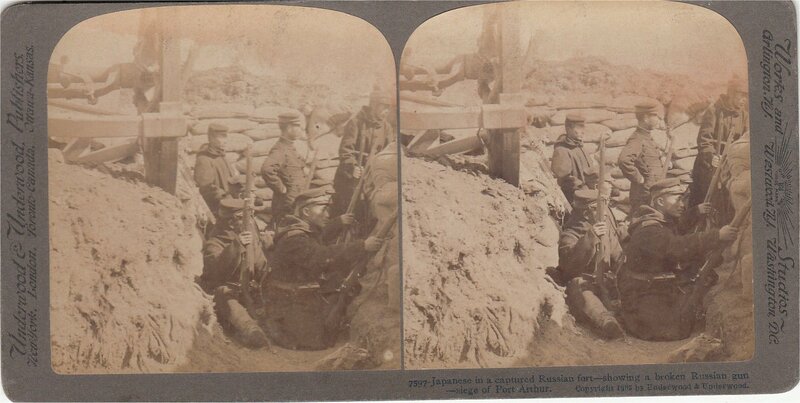 Hurring to a Point of Advantage, Before the Attack on Port Arthur. 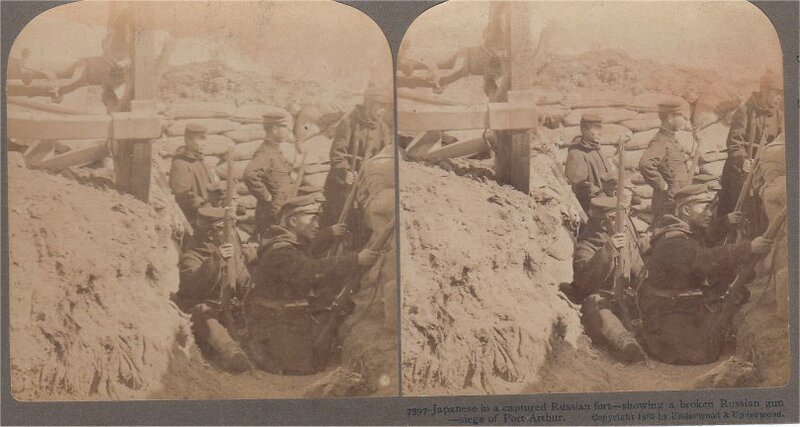 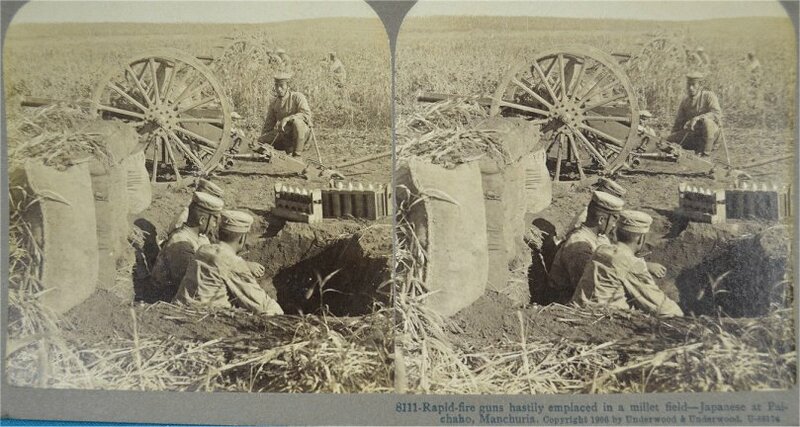 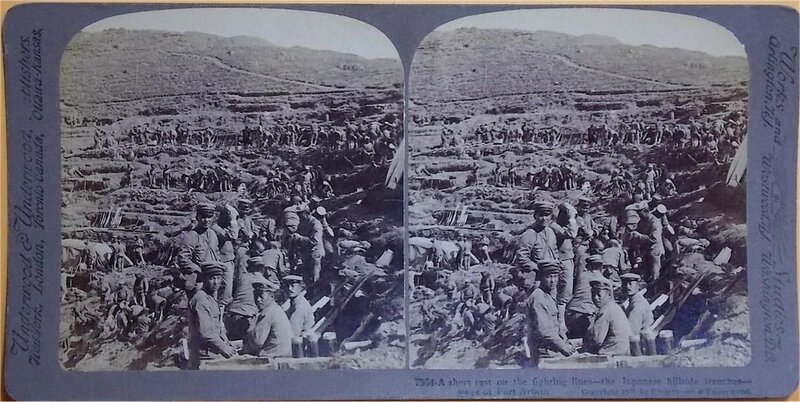 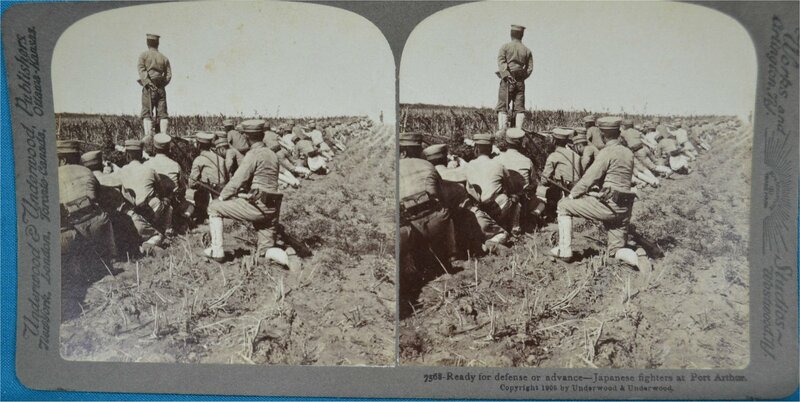 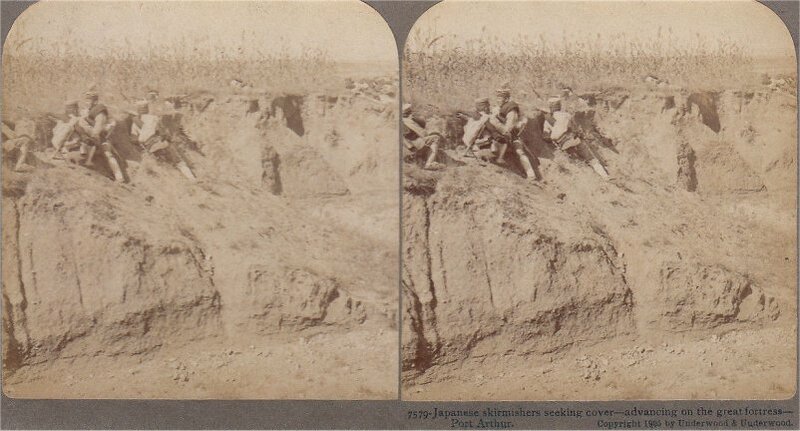 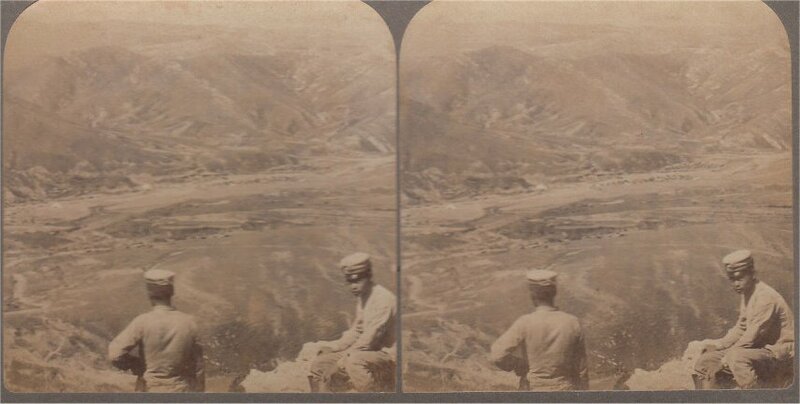 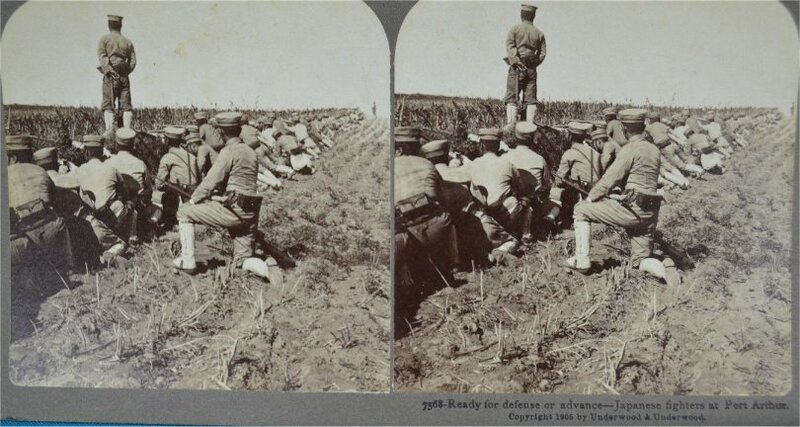 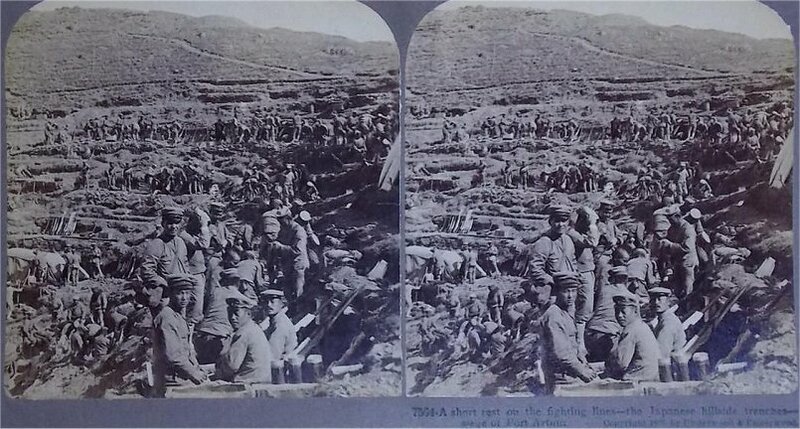 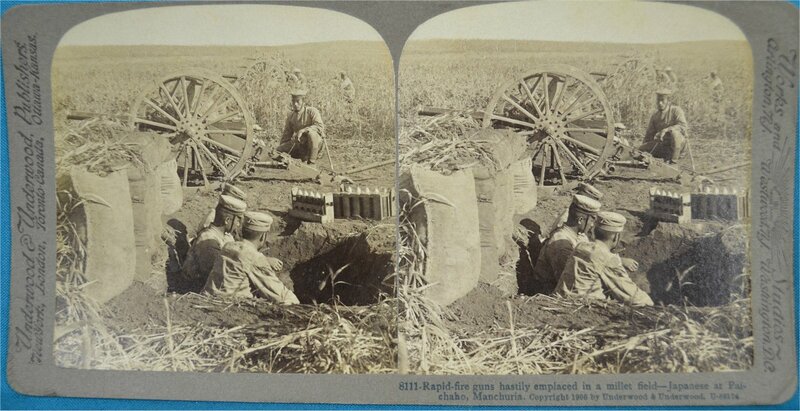 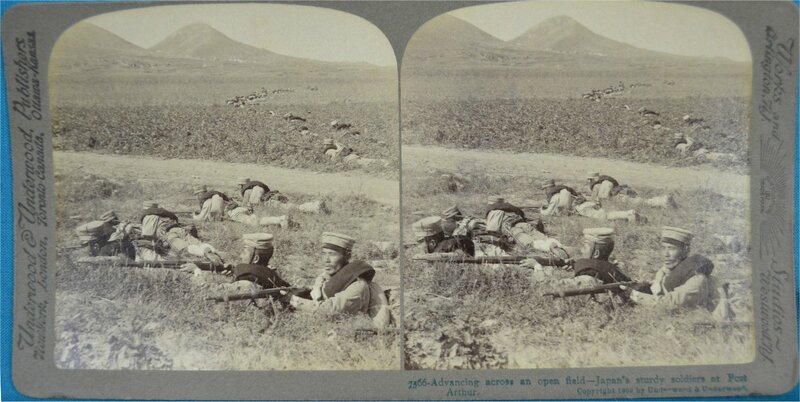 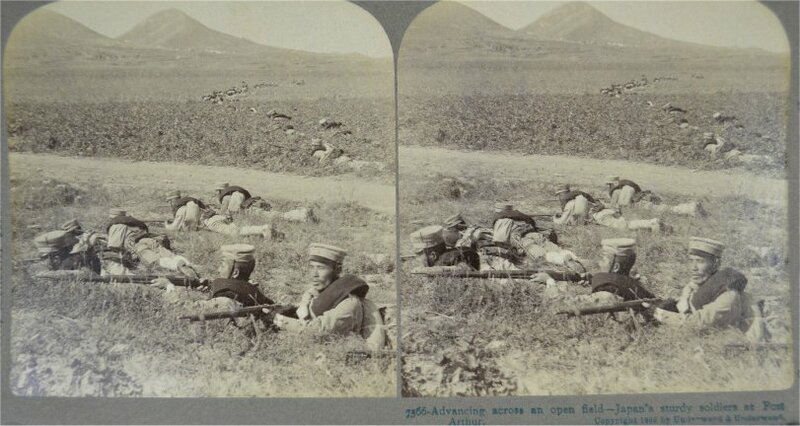 A short rest on the fighting lines -- the Japanese hillside trenches -- siege of Port Arthur. 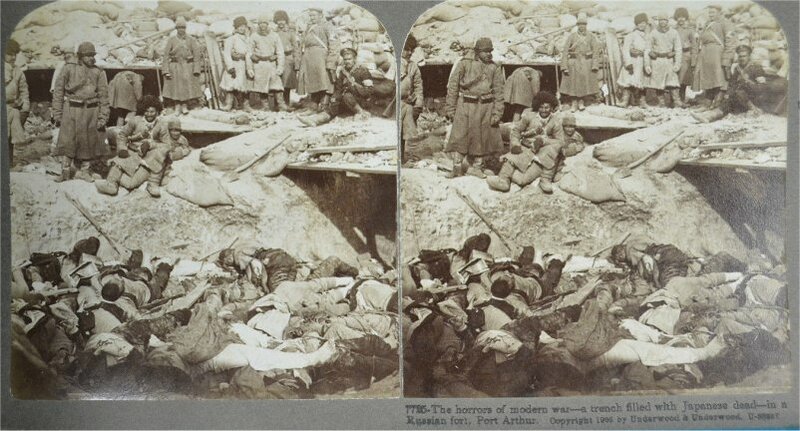 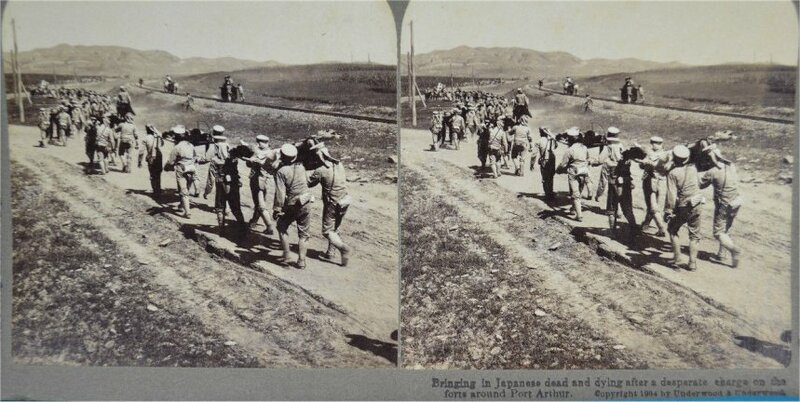 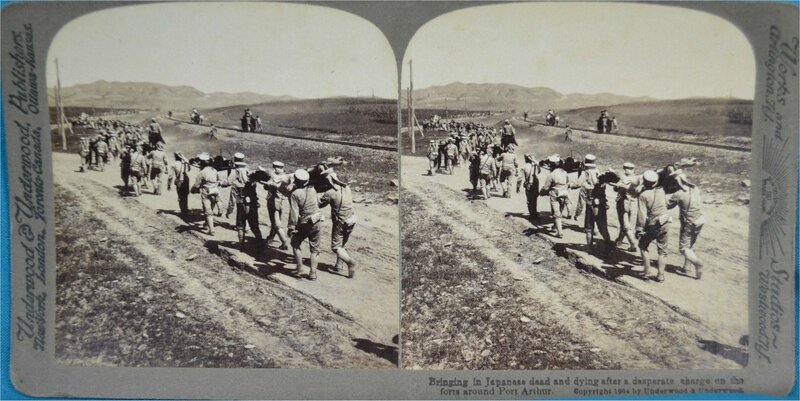 Bringing in Japanese dead and dying after a desperate charge on the forts around Port Arthur. 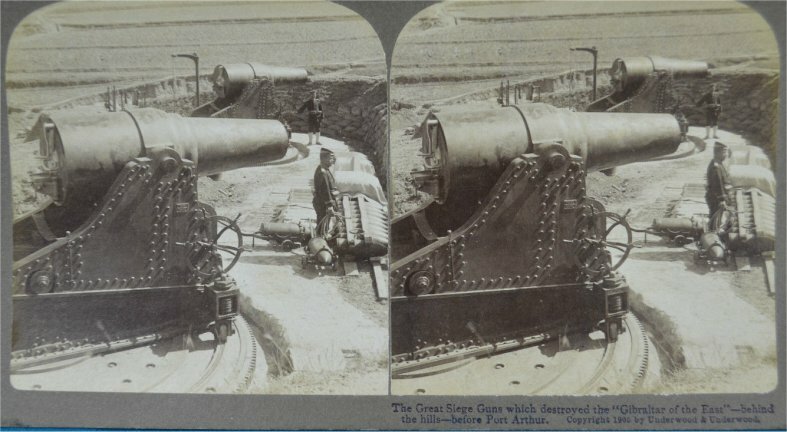 The Great Siege Guns which destroyed the "Gibraltar of the East" -- behind the hills -- before Port Arthur. 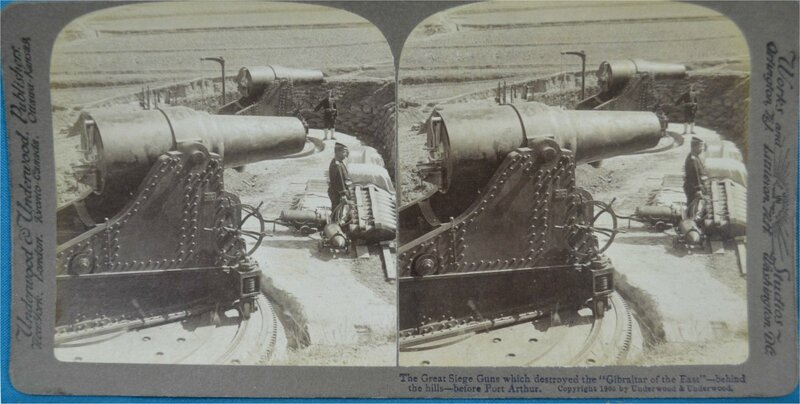 A 500-lb. 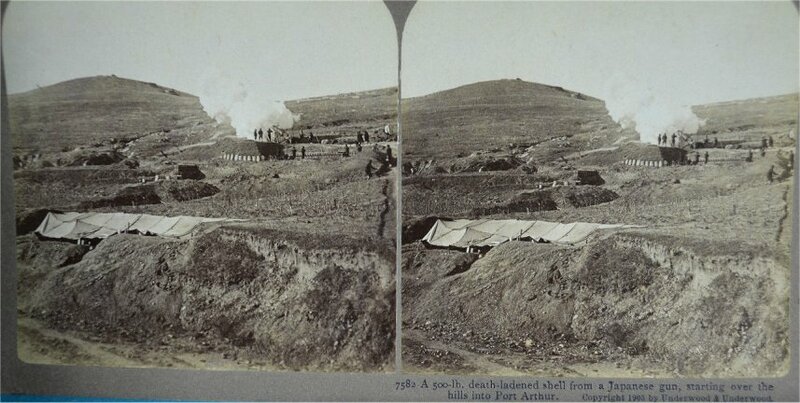 death-ladened shell from a Japanese gun, starting over the hills into Port Arthur. 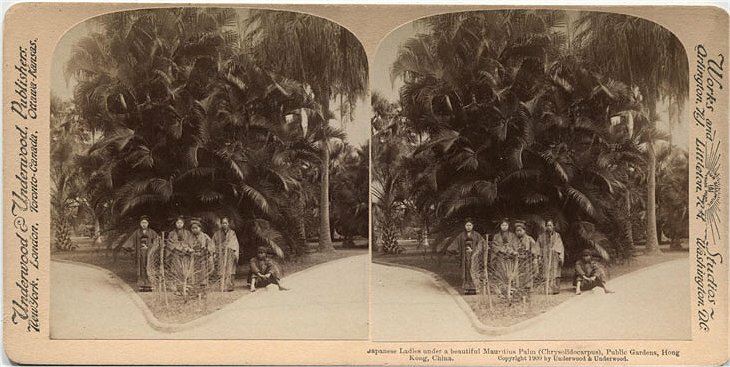 Japanese Ladies under a beautiful Mauritius Palm, Public Gardens, Hong Kong. 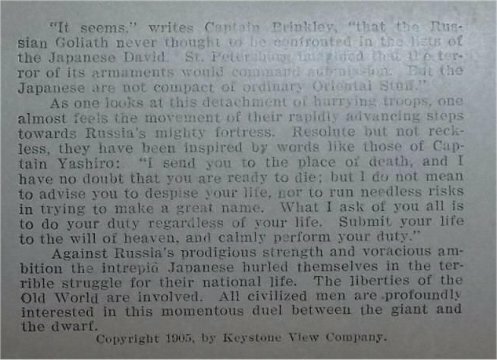 "Nogi's compliments to Stoessel!" 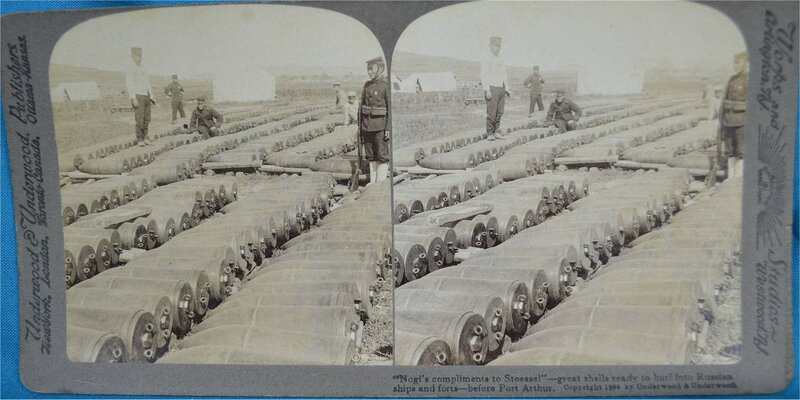 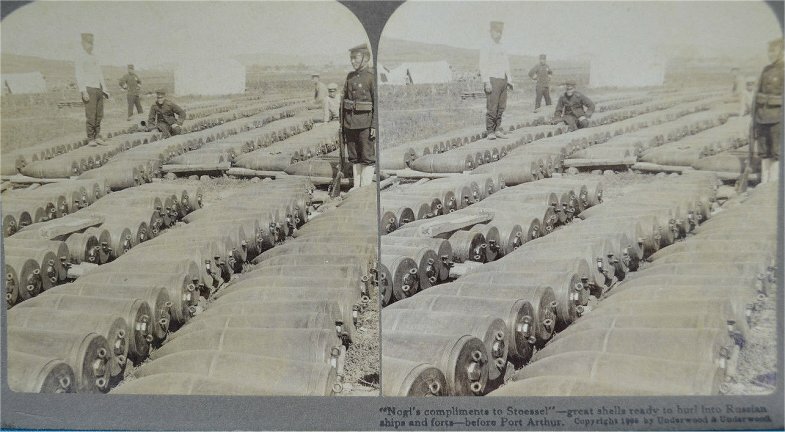 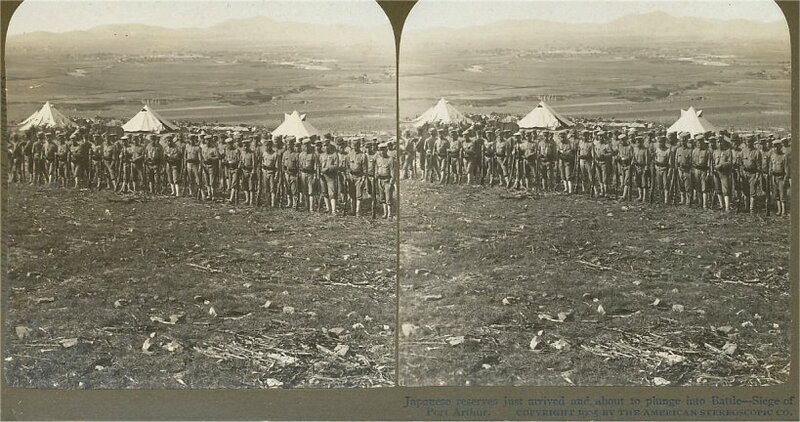 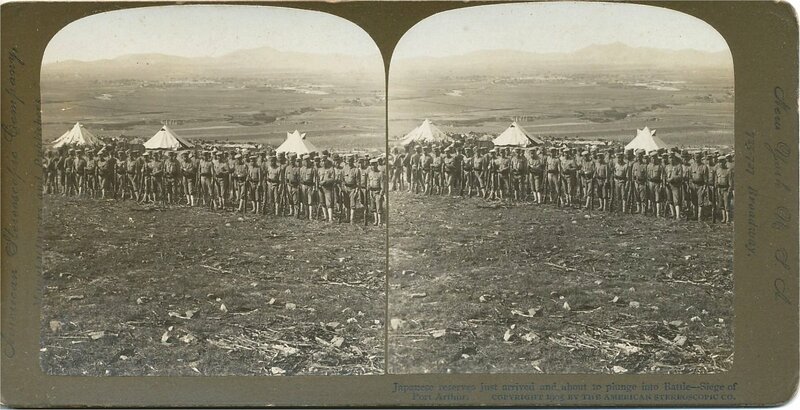 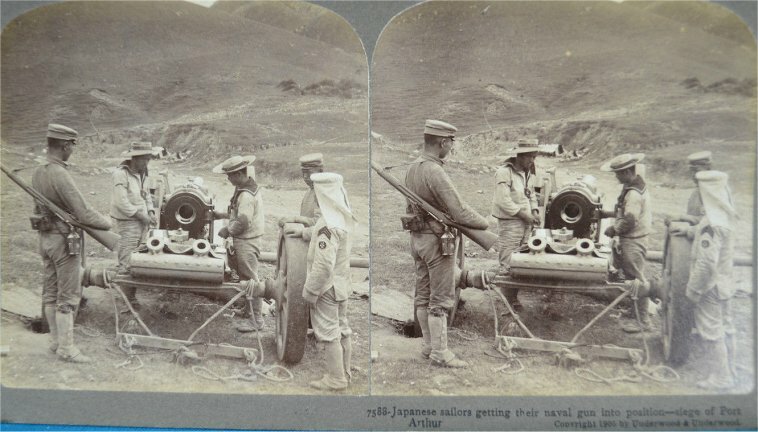 -- great shells ready to hurl into Russian ships and forts -- before Port Arthur. 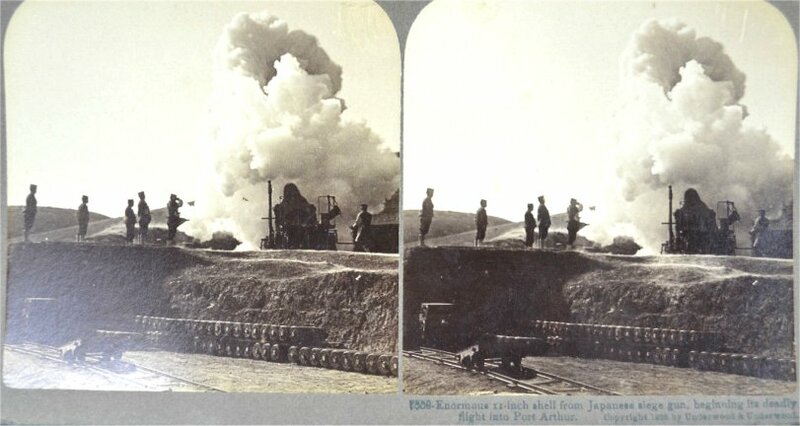 Enormous 11-inch shell from Japanese siege gun, beginning the deadly flight into Port Arthur. 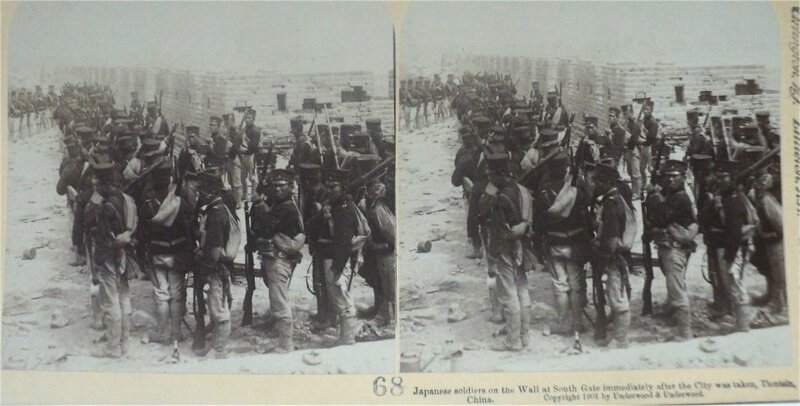 Ready for defense or advance -- Japanese fighters at Port Arthur. 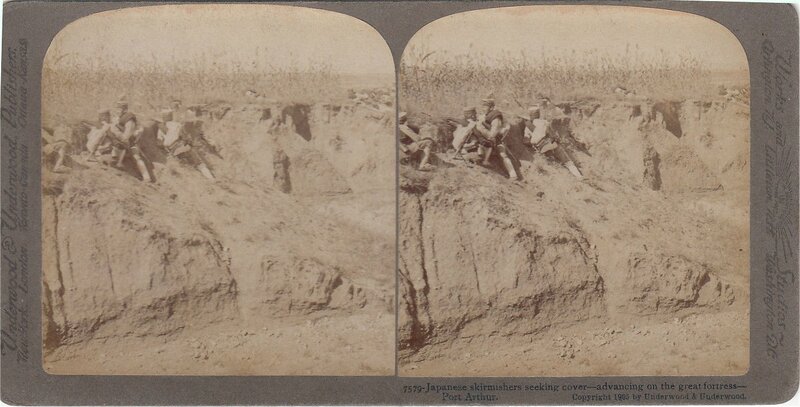 Advancing across an open field -- Japan's sturdy soldiers at Port Arthur. 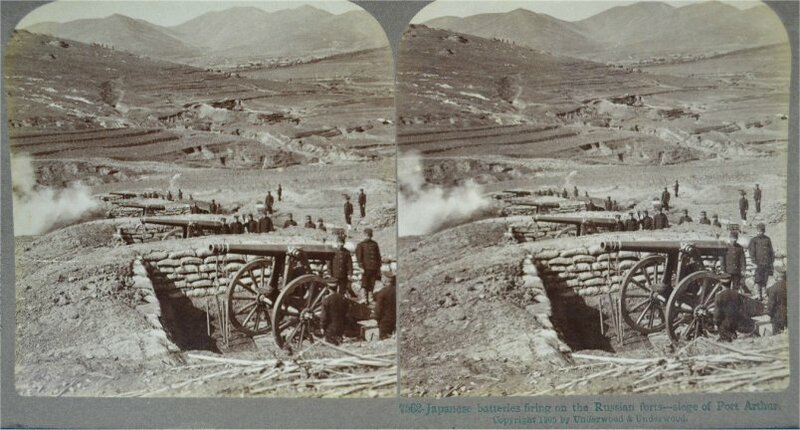 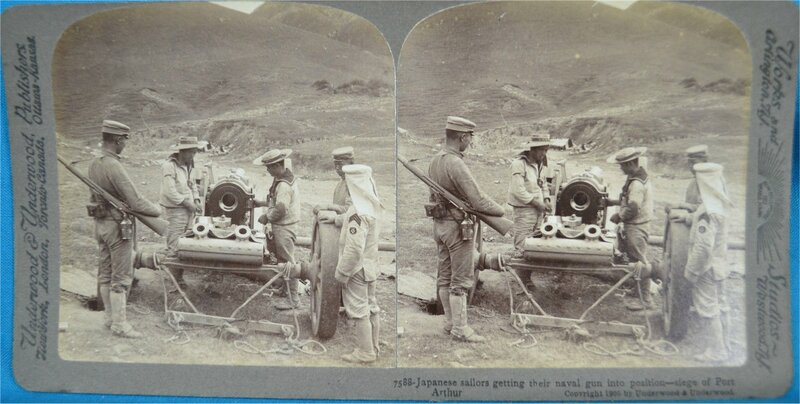 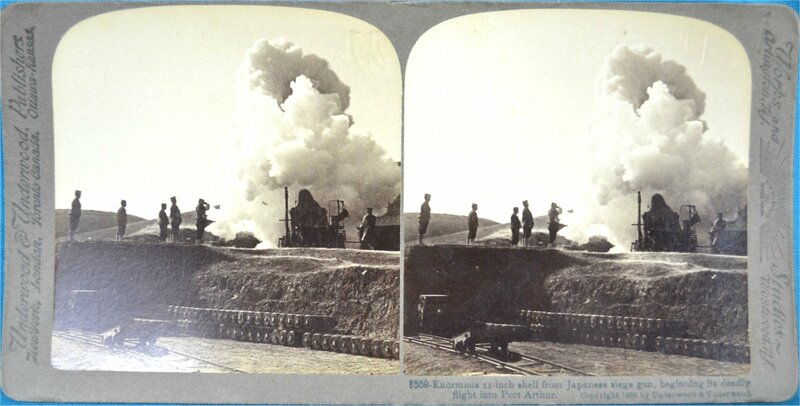 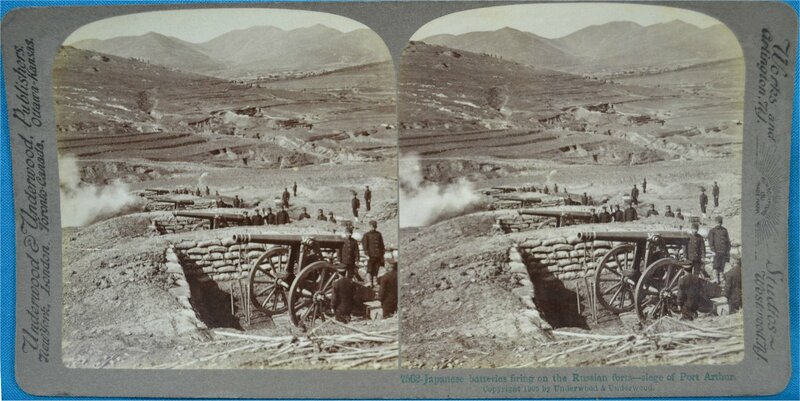 Japanese batteries firing on the Russian forts -- siege of Port Arthur.